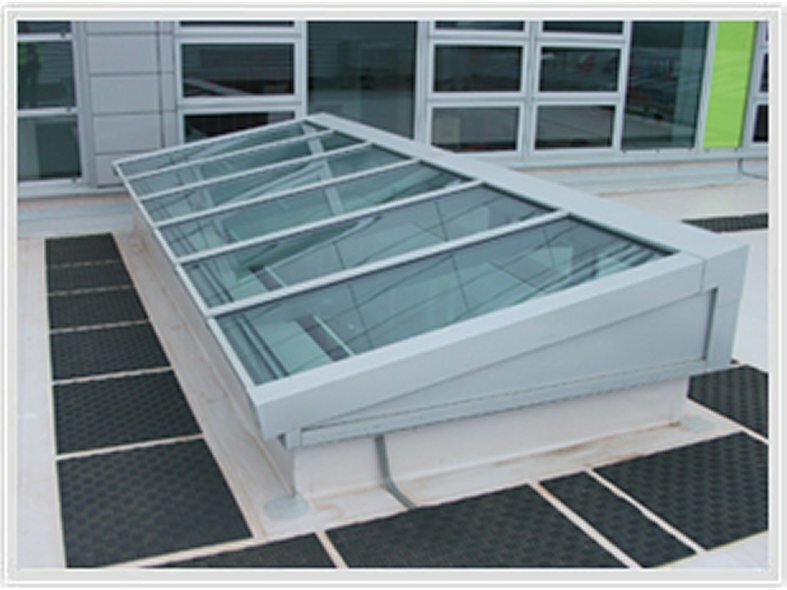 The Mono Pitch rooflight is the most common style of rooflight. This is due to its versatility within the pitch (minimum 5° to normally 30-40°) and universal style that allows it to be used over most areas to provide significant daylight. 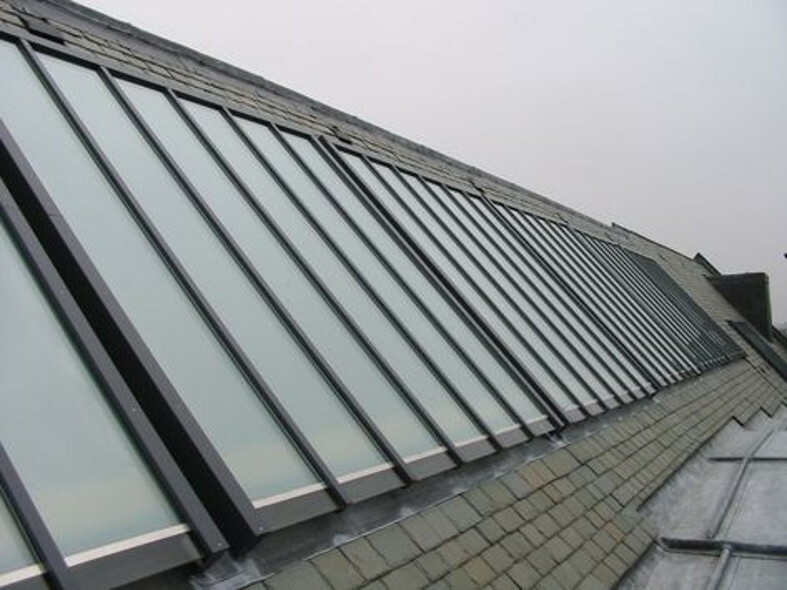 It can also be supplied with specialised glass for both light and solar transmittance, along with electrical openers for smoke and natural ventilation. TYPE: Monopitch rooflight up to 6 metre span. Pitch as required by Architect. Min 5°. To BS 5516 CP3 Chapter V and BS 6399 Part 3 1988. KERB: Structural kerb by Main Contractor. Normally 100mm/150mm wide x 150mm high. Kerb must be capable of supporting the weight of the structure. Glass structure weighs 50kg m² surface area. GLAZING: OPTION 1Sealed double glazed units comprising – Standard 6.0mm clear toughened outer pane/16mm air gap argon filled, 6.4mm Low ‘E’ laminate inner pane to give ‘U’ value up to 1.54 W/m²K, depending on glass specification. Other glass can be fitted if required to suit your requirements. OPTION 23mm UV coated polycarbonate inner skin, 3mm or 4mm UV coated polycarbonate outer to give ‘U’ Value of 2.2 W/m²K. The glazing is Makrolon Mono Longlife UV resistant polycarbonate sheet. 10 Year warranty on breakage, excessive yellowing and loss of light transmission. Fire Rating: Makrolon 2099 when tested to BS 476 Part 3 is rated AA surface spread of flame to BS 476 Part 7 Class 1.Class O material to Building Regulation 1985. TP (a) rigid classification as described in approved Document B of Building Regulation 1991.